It is available for hire at our Pisa rental point. 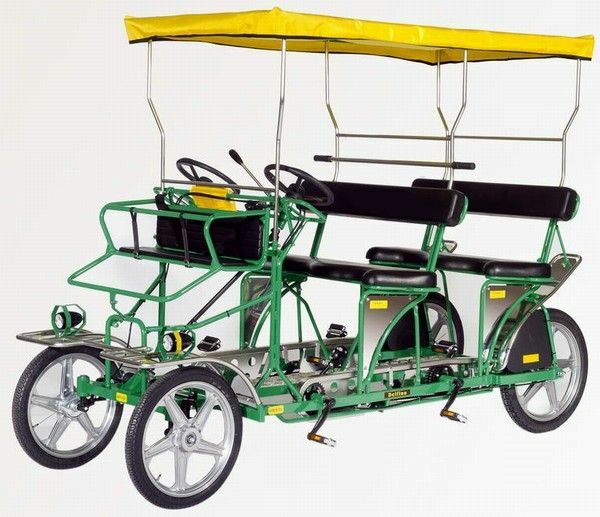 Our quadricycles are a pleasant means of transport, perfect for trips out in the open air. 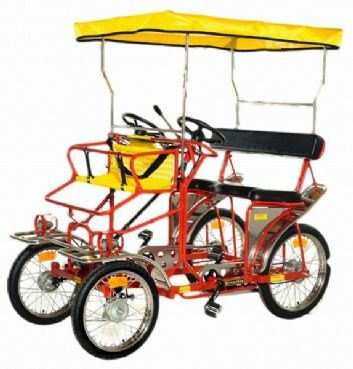 They are able to accommodate two, three or four people of any age. These non-polluting vehicles are particular popular for use in towns and parks. Over the years, the purchase and hiring-out of quadricycles has proven to be a profitable business activity in countries all over the world.